The US Navy says the port visit is a demonstration of the "shared" US-Ukrainian "commitment to promote security and stability" in the region. 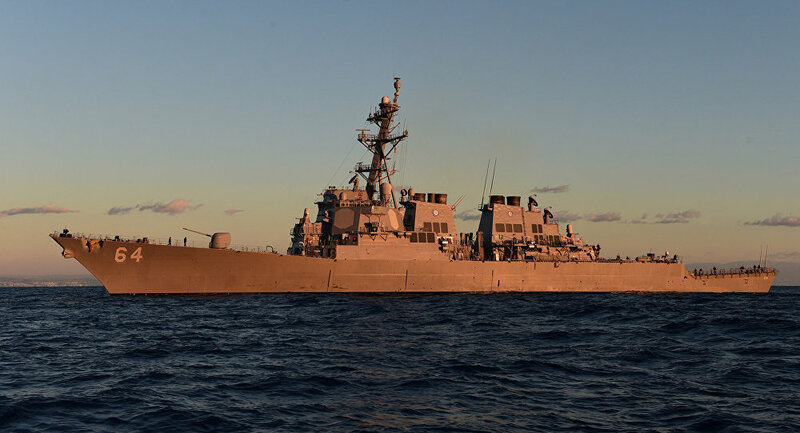 The USS Carney Tomahawk-cruise capable destroyer arrived in Odessa on Monday, the US 6th Fleet's official website has reported. The warship's visit is the first by a NATO vessel in 2018, and is expected to last until January 11. According to the Navy, the ship's mission includes searching for "opportunities to enhance interoperability with partners in the Black Sea." — Naval Forces Europe (@USNavyEurope) 9 января 2018 г. The last time the normally Rota, Spain-based ship paid a visit to the Ukrainian port was in July 2017, as part of the NATO-Ukraine Sea Breeze 2017 drills. The Arleigh-Burke class destroyer's armament includes the Aegis air and ballistic missile defense system, and up to 90 Tomahawk cruise missiles. The Odessa port is situated less than 200 km away from Russia's Crimea, and about 300 km from Sevastopol, home base of Russia's Black Sea Fleet. Tensions in the region escalated in 2014, after a coup d'état in Kiev prompted Crimea to hold a referendum to break off from Ukraine and rejoin Russia, nearly 60 years after Soviet premier Nikita Khrushchev first transferred the peninsula to Ukrainian Soviet Socialist Republic's administration in 1954. Over the last four years, the US and its NATO allies have sailed their warships into the area with regularity, dismissing any suggestion that the deployments threaten or provoke Moscow. Commenting on the USS Carney's port visit, Captain Tate Westbrook of the 6th Fleet told Stars and Stripes that "US ships will continue to enter the Black Sea and work with our allies and partners" into the future "to ensure maritime security and stability." Last February, the US Navy complained of an "unsafe and unprofessional" buzzing incident involving a US destroyer, a pair of Russian Su-24 jets and an Il-38 maritime patrol craft. The presence of non-Turkish, Romanian and Bulgarian NATO vessels in the Black Sea is limited by the 1936 Montreux Convention, which forbids non-Black Sea naval powers from remaining in the body of water for more than 21 consecutive days. The treaty also restricts the class and tonnage of these vessels, effectively limiting NATO's presence. In recent years, Russia has voiced concerns with alliance efforts to bypass the treaty via a 'Permanent Task Force' in the Black Sea. US military activity in the Black Sea has been on the uptick all this week. 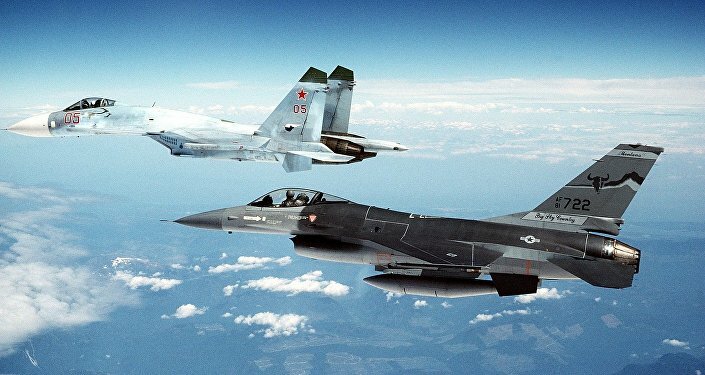 Over the weekend, a US Navy Boeing P-8A maritime reconnaissance aircraft and RQ-4A Global Hawk heavy drone were reported patrolling near Crimea and over Ukraine, including over the frozen civil war zone in that country's Donbass region. Washington recently approved the supply of lethal weapons to Ukraine, prompting Moscow to voice concerns that the arms could unfreeze the war and open a "Pandora's Box" and escalate the Ukrainian civil conflict into an international one. — Mil Radar (@MIL_Radar) 7 января 2018 г.